I used to use those horrid white strips. You know the ones I’m talking about. I don’t know about you but they left me in complete and total pain! If the wind blew, that was enough pressure to drive me mad. Not to mention the fact that I could never get them to stick. And that I felt like I shouldn’t really swallow cause, heck, who knows what’s on those things anyways? To get back to the point (was I ever on it in the first place? Oops!) 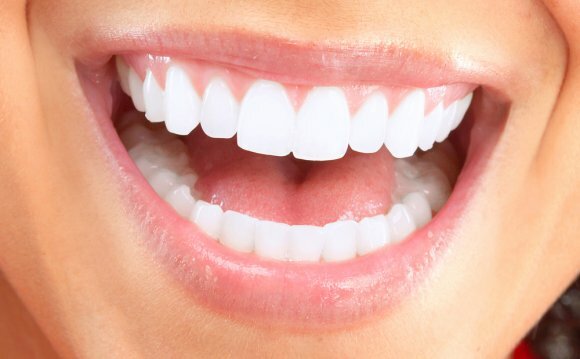 I have been using an all-natural, easy-peasy DIY teeth whitening paste for awhile now and have seen great results! Did I mention it was easy? *Please note that food grade hydrogen peroxide differs greatly from the run-of-the-mill hydrogen peroxide found in the drugstore, which is not safe to ingest as it contains many heavy metals. I bought mine at Whole Foods in the personal care section. It was $8.99 for a 16 oz bottle which admittedly is about five times the cost of the generic drugstore brand. But using it solely for this purpose, I know it will last me quite a long time. Also, if it’s going in my mouth, it want it to me safe, which I’m sure you’ll agree with. While I first used this paste for a few days in a row, I’ve decided to start using it just once a week for maintenance, sort of like a weekly face mask application. It has kept my pearly whites in tip-top shape and I have not experienced any sensitivity! Standard FTC disclosure: In order for me to support my blogging activities, I may receive monetary compensation or other types of remuneration for my endorsement, recommendation, testimonial and/or link to any products or services from this blog. However, I only support and endorse products that I use personally and feel would benefit readers. Thank you for supporting Body Unburdened and the work I do to help readers live non-toxic, healthy lives! Disclaimer: The content of Body Unburdened either through this website, social media pages, or any other materials distributed by Body Unburdened is intended to provide helpful and informative material. I am not a doctor or a “registered dietitian, ” and I do not provide medical advice or treat diseases.